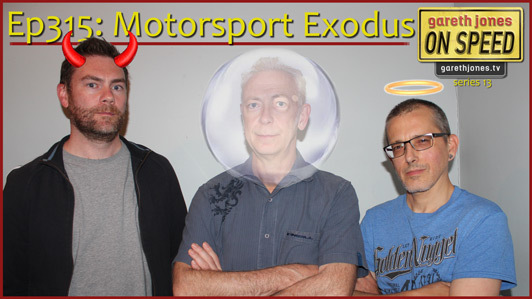 #315 Motorsport Exodus. Gentlemanly behaviour on track, and shenanigans in F1 and other race series. The halo come to F1, Porsche leave the WEC, and the move towards electrification in cars and motorsport. Plus Sniff Petrol on an F1 returnee and Beyoncé.